Pastor ChiChi is the wife of Bishop Tudor Bismark. She is the co-founder of Jabula New Life Ministries & pastor of New Life Covenant Church in Harare, Zimbabwe. 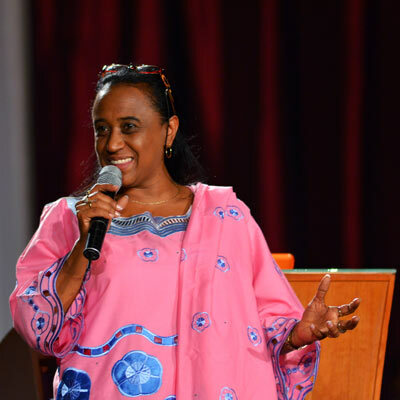 Her sincere heart for people and her desire for the manifestation of the power of the Word of God in the earth has positioned her as a credible minister in her own right. Pastor ChiChi is an intercessor, a prophet, a teacher and an encourager to the body of Christ globally. Anointed in the areas of sound biblical teaching, healing and kingdom finance, she along with Bishop Bismark have grown their assembly in Harare in to a force of faith and power for the Kingdom of God. Pastor ChiChi and Bishop Tudor have been married for over twenty five years and have been blessed with four sons. As an avid reader, information seeker and a possessor of revelation knowledge, Pastor ChiChi will minister to your present need, challenge your boundaries and encourage your faith.